Greetings, my name is Miss Phoenix, also known as Phoenix LeFae. I am a professional Priestess, gifted reader, and talented rootworker. When I first picked up a deck of tarot cards I was fifteen years old and this set off over two decades of study and learning about magic and the world's religions. In my desire to grow spiritually and help others, I started reading cards for other people and this launched into taking this work on as a profession. Offering spiritual guidance has been a part of my life ever since. I am a gifted intuitive reader, able to see much more of what is going on than what the cards alone may reveal. 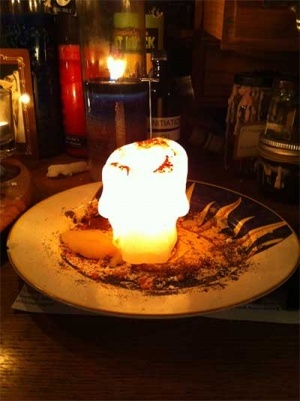 On top of reading the tarot cards, I also offer intuitive readings using crystal balls, pendulum, and black mirrors; along with reading candle wax and candle flames. I don't sugar coat things or tell you what you want to hear, I only offer the truth as it is being revealed to me. I have over twenty years of magical experience helping myself and my clients to shift their lives and move closer to their desires. I help those that are willing to help themselves and understand that they need to be just as invested in the process of their work as I am. I take on cases connected to finding love, reconciliation, money, success; and I am especially gifted with reversing, uncrossing, and cleansing work. 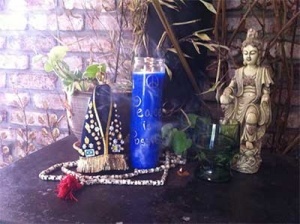 Each candle I burn, each mojo I create, and each moving candle spell I perform is a unique creation that is made with my specific client in mind. I take time and care to find the highest quality ingredients, use the right timing, and get my clients involved with the work to bring out the best results possible. Beyond my skills as an intuitive tarot reader, I am also a freelance writer, spiritual consultant, teacher,, A former candle server at Missionary Independent Spiritual Church, I am the author of the book Hoodoo Shrines and Altars: Sacred Spaces for Rootwork and Conjure and I have presented classes on spiritual bathing and altar work at the annual Hoodoo Heritage Festival Workshops. I am a co-host on The Witch, the Priestess, and the Cauldron. a weekly Pagan-oriented show on the LMC Radio Network. 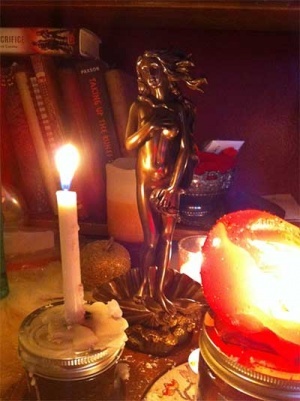 I also teach workshops on Goddess Spirituality and help people to connect to the natural world around them. I am dedicated to the Goddess Brigid/St. Brigid and work chiefly with her for inspiration, healing, and transformation on behalf of my clients. 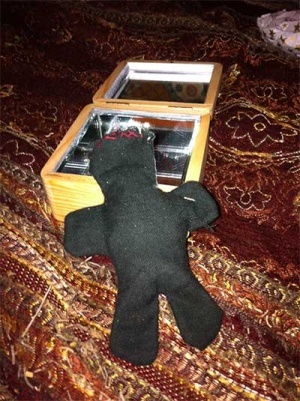 For my clients I offer a wide range of spells and ritual work; both in order to help them create spells and rituals to perform on their own and also for me to perform on their behalf. 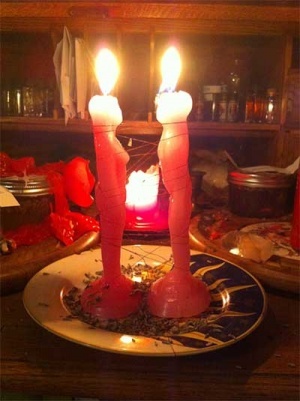 I offer services such as; setting lights and candle magic spells and services, doll babies, clearing crossed conditions, spiritual bathing and cleansings of the home and person, mojo bags, altar work, prayer, healing, ancestor intercession, and magical coaching. I take clients over the phone, in person, and via Skype for readings as well as for rootwork consultations. I help my clients to find love, success, money, and freedom from what is holding them back from their highest potential. 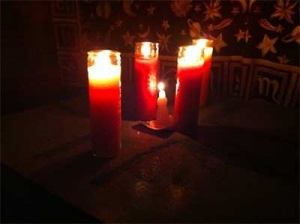 On top of my private clients I also teach workshops on ritual skills, magic, and divination to groups. I offer magical coaching to those who desire one-on-one training. 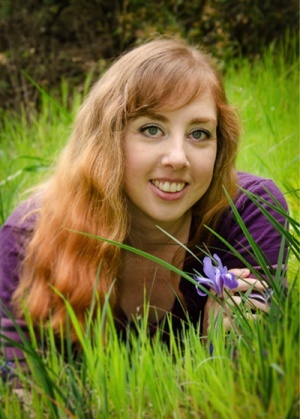 You can read more about me at my Phoenix LeFae website. Hours: I am available by appointment only. You may book my services online, using Paypal as a payment method. If there are days or times at which you cannot receive a call back, please leave that info in your message and be sure to mention your time zone. I am open and willing to see clients in person who are within my area, but I ask that you arrange in advance for me to see you so that I can offer you the time and attention you deserve unhindered by previous engagements. I am available for both pre-scheduled and caller-initiated readings, in person and by telephone.